Today, more than 140,000 merchants worldwide take advantage of the ePages platform to sell their products efficiently. With ePages, they transform ideas and passions into successful online businesses. Learn more about our merchants who share their experiences of selling products online. Audrey is the most passionate bookbinding specialist in Barcelona. She used to work in Lyon before moving to Barcelona in 2012 and settling there with her family. To continue making a living out of her passion, she created a brand and a store called Les Carnets d’ Audrey. 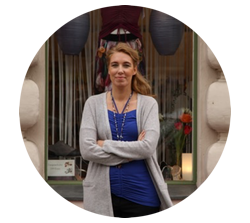 She always knew from her French and Spanish clients that her products would have great online potential. 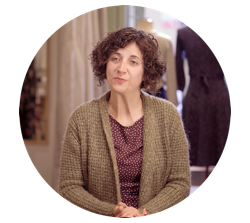 Mireia has a shop in Barcelona where she makes and sells her homemade clothing and accessories. Even though she didn’t have time to expand the business, she needed to sell her products online to reach more customers. 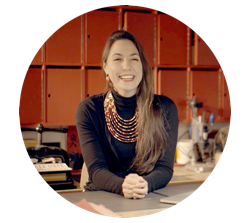 Mireia happily chose ePages which she found to be the most time-saving ecommerce website. After 23 years as a factory worker, Martí found himself unemployed. Challenged by the situation, he decided to reinvent his career. One year and various opportunities later, he launched a bags and accessories shop in Barcelona. 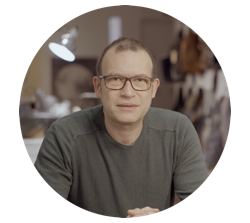 Starting with products under his own brand, Urbanus Barcelona, he extended his offer by reselling products from other providers. Inspired by her friends’ passion for dance, Christiane Bär came up with her business idea – her own fashion label Mava Lóu. Today, she offers a broad selection of fashions for salsa and tango fans. Customers can purchase pieces from her collection at her fashion store based in Berlin Kreuzberg or from anywhere via her online shop.